A decade when the men who discovered the New World began the exploration and colonization of the Americas, even if they weren't the firsts they thought they were. Much of America's best history takes in the beauty and nature of our national parks, plus our seashores and preserves. 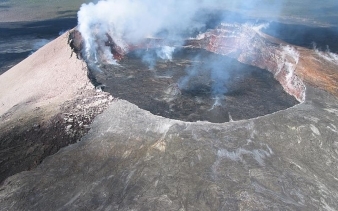 From the first park in Yellowstone, from the coast of Maine to the tropical reaches of the Everglades and the Big Cypress Preserve, photo above, next door. Check out the history of the USA as made by our land. 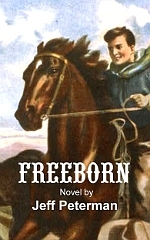 Fiction for the history crowd with Freeborn, the novel about the what ifs of Jesse James and a son who was nothing like his dad. 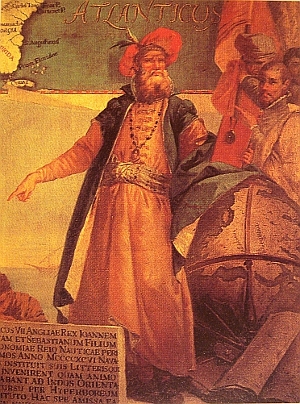 Above: Explorer John Cabot. Image courtesy Wikipedia Commons. 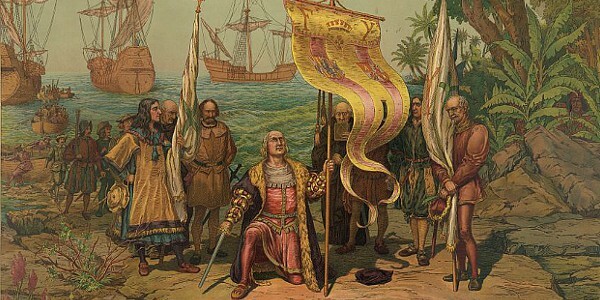 Right: Painting Christopher Columbus taking possession of San Salvador, Watling Island by L Prang and Co., 1893. Images courtesy Library of Congress. December 31, 1491 - The Americas prior to European exploration saw a North American and Caribbean population of native Americans that spread across the continent at a level still debated amongst scholars. Between one million and one hundred million people are estimated to have lived in the Americas prior to Columbus. August 3, 1492 - After years of negotiations to get the funds to make his journey, Christopher Columbus sets out on three ships, the Niña, the Pinta, and the Santa Maria, to find a westward passage to the Indies under the auspices of Queen Isabella I of Spain. October 12, 1492 - Rodrigo de Triana, a crew member of the Pinta, sights the land of the Americas in the Bahamas. This was the first of four voyages Christopher Columbus would make under the patent of the Spanish and Isabella I of Castile. It began the period of Spanish colonization of the New World. Columbus called the Bahamian site, San Salvador. He would also explore the islands of Cuba and Haiti on this trip, but not the continent of North America itself. September 24, 1493 - Columbus began his second trip to the American colonies with seventeen ships and 1,200 men. These men were meant to colonize the land found and claimed during the journey beyond the few left in the Americas after the first voyage. He would arrive in the New World again on November 3, 1493 and explore more of the islands in the Caribbean, including Puerto Rico and the Dominican Republic. June 7, 1494 - The Treaty of Tordesillas, between Spain and Portugal, attempts to ratify and clarify ownership of the lands outside Europe and who could claim them. This was an effort to resolve questions arising from the return of Columbus. This treaty, and a subsequent treaty on April 22, 1529, the Treaty of Zaragosa, would only further confuse the issue beyond the two nations Spain and Portugal. March 5, 1496 - King Henry VII signs an agreement with John (Giovanni) Cabot to explore the western hemisphere under the flag and authority of England. It is thought likely that the British King was in disagreement with the Treaty of Tordesillas, as well as a prior Papal decision, to effectively split the riches and exploration of the New Worlds between Spain and Portugal. He would attempt a first voyage with one ship, but be unsuccessful, and turn back. May 2, 1497 - On his second voyage for England from the port of Bristol, John Cabot (aka Giovanni, a Genoese native sailing under the English flag) rediscovers the North American continent on June 24, 1497, the first European exploration of the continent since Norse explorers in the 11th century. He explores the northeast coast, landing first at Cape Bonavista in Newfoundland. They made landfall for a short period of time to raise the English flag, then explored the coast. His ship was known as the Matthew of Bristol. May 1498 - Cabot undertakes another voyage to the New World under his English papers. It is unknown whether Cabot returned from this voyage and various reports state that his ships were lost at sea. Recent research suggests a second theory, that his ships did return to England after a two year exploration of the coastline of Canada and the United States, even down into the Spanish claimed territories of Columbus in the Caribbean. May 30, 1498 - The third voyage of Columbus began in the Spanish city of Sanlucar. During this voyage, he explored the islands of the Caribbean again as well as the South American territories of what is now Venezuela. Upon visiting the previously established settlements, he found much discontent among those left behind to colonize the region. 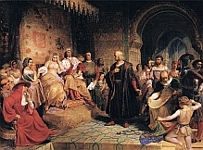 Columbus meeting with the Spanish Queen. 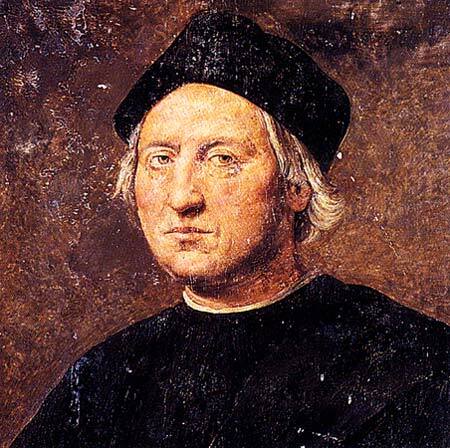 Christopher Columbus, by Ridalfo Ghirlandaio, 1520. 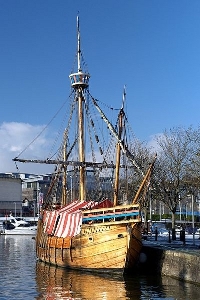 Replica of the ship Matthew of Bristol of John Cabot. Photo source: Wikimedia Commons.